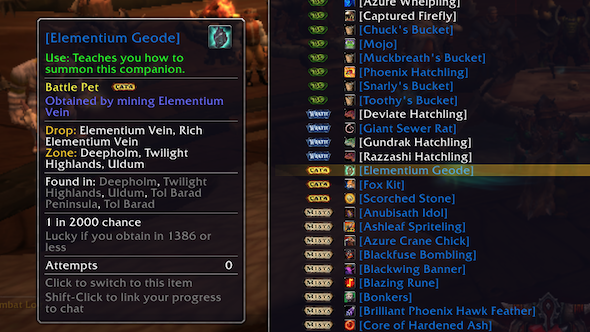 World of Warcraft’s core UI is functional, sure, but it often lacks a certain something special. Ask anyone who has been mocked for using it after their party found out and they will tell you exactly where it falters. The default UI doesn’t provide you with enough information at a glance during a raid, it’s too large on the screen so that it takes up to much screen real-estate, and it can be really clunky with all the windows popping up everywhere which you aren’t able to better arrange. Fortunately, expansive add-on support fills that gap, providing you with thousands of different options for how you want your game to look. Some add-ons are aimed at avid raiders, while others tackle those all-important professions. With so many options, it’s tough to know what add-ons are worth your time. We’ve dug deep and tracked down the best of the bunch for general, all-purpose use. Each add-on will make your World of Warcraft experience far more pleasant, whether you’re a raider, tradesman, or simply keen to level up fast. Want more? Check out the best MMORPGs on PC. Aimed at the perfectionist in all of us, Quest Completist is an extensive catalogue of every single quest in the game. Enter a new zone, and you can consult it to see exactly what quests are available, and what’s involved with them. 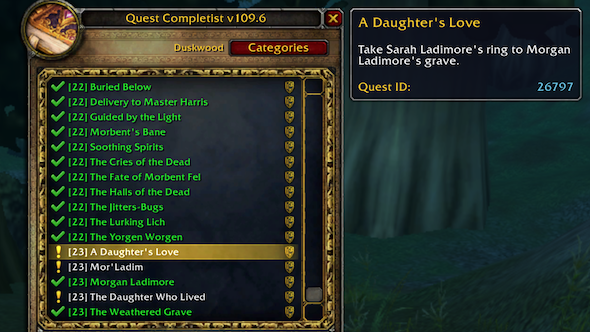 You can even check out the quests for opposing forces and other classes or professions too. Very handy when you discover a zone covered in uncompleted activities. It’s quite the time saver if you’re determined to complete everything possible, plus there’s the added bonus of discovering quests you had no idea even existed. An arrow keeps you on track so you always know where to go next. 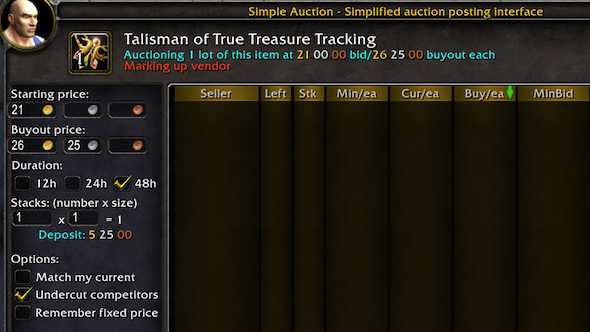 There’s a lot of money to be made via the auction house – if you know what you’re doing. Auctioneer goes some way to streamlining the process. It effectively appraises items, providing you with an intelligent price to sell a product for, before making it easy to undercut others in the auction house. It doesn’t stop there, though. Additionally, the Auctioneer suite tracks your bidding, postings, and mail, making it a breeze to list plenty of items at once. There’s also extensive support for enchanting, with figures available for disenchanting as well as selling enchantments. Used correctly, it’s quite the moneymaker, while saving you the effort of completing market analysis yourself. Keeping an eye on your inventory is a complex business once you own a few large bags, or you have multiple characters. Bagnon is a lifesaver in this context. 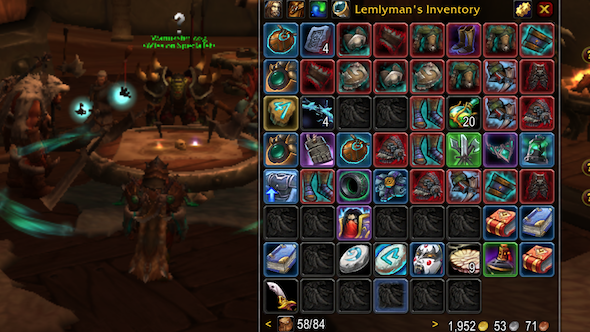 Instead of having to view items bag by bag, it collates all your items together in one simple-to-view inventory screen. Each item has a different colour assigned to it, depending on item quality, and there’s an intelligent search engine, too. This means you can see at a glance what’s going on inside your bags and that makes it easier for you to tidy them up. Going one step further, the add-on also shows what all your characters possess, from how much gold they own to if certain items are duplicated across multiple characters. If you’re trying to move possessions from your main to an alt, it’s the perfect way to keep on top of everything. Finding a rare item drop is immensely satisfying, but, often, it can be quite frustrating too. 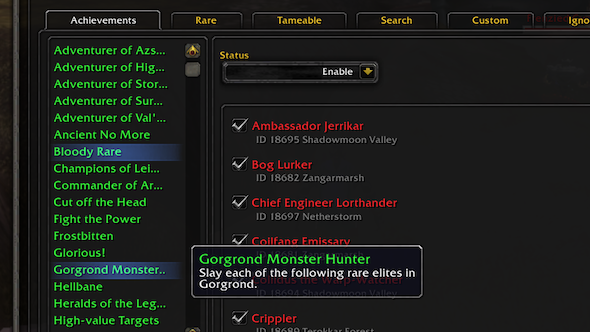 The Rarity add-on acknowledges that you want to know what the odds are, tracking how many times you’ve tried to obtain everything from mounts to toys and battle pets. In each case, it tells you how likely you are to obtain the item, tracks how long you’ve been trying, and determines how lucky you’ve been so far. No longer do you have to question whether you’re actually getting somewhere. You’ll have a proper idea of your chances through statistical analysis. It should keep you sane. Tracking and finding key NPCs isn’t the easiest of tasks. NPCScan takes out the effort by scanning nameplates, minimal vignettes, and even targets you’re hovering your mouse over. Once you’ve found the NPC, an on-screen alert is displayed, with an audio alert emphasising your discovery. In a cluttered environment, it really comes into its own, but any time that you’re trying to find someone for something like an achievement goal, it’s a worthy tool to add to your arsenal. In conjunction with Rarity, it’s unbeatable for getting the most out of a zone. World of Warcraft’s map is fairly good at showing you where you need to go, but it’s not perfect. 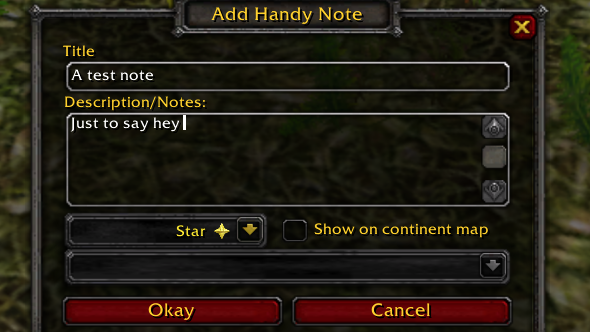 HandyNotes fills an important gap in the form of being able to add notes as you go along. A quick alt-right click on the world map lets you type in whatever you need to remember. It’s great for keeping track of certain locations such as secret entrances or even if you just want to remember a particularly scenic spot for light roleplaying. World of Warcraft: Legion brought with it World Quests – special temporary daily and weekly quests for maximum level characters. 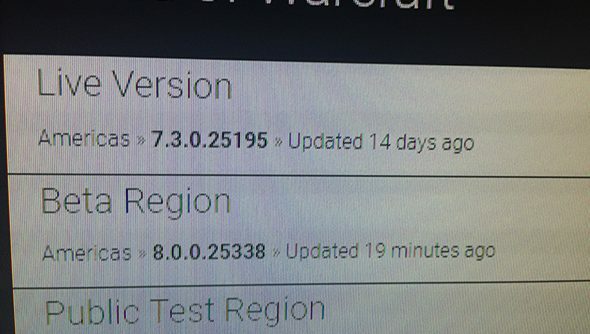 The problem was that World of Warcraft’s UI did a poor job of highlighting them, and making them easy to track. 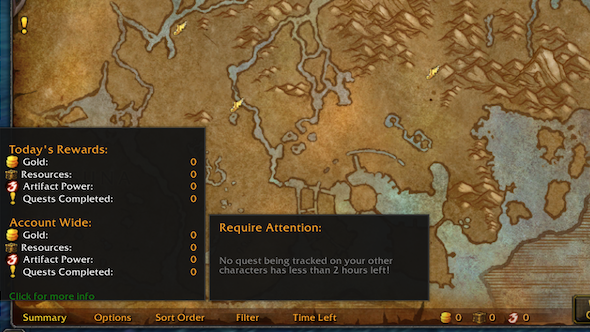 World Quest Tracker does the job for Blizzard, being a small yet immensely practical add-on. It lists quest directly on the Broken Isles map, showing how long is left, and what needs to be done. Statistics on how many quests have been completed over time and what rewards have been earned complete the package nicely. Download World Quest Tracker add-on. Titan Panel is simple yet brilliant. It adds a toolbar on the top of the screen which shows you how much experience you’ve gained during your session, and how long until you level up. 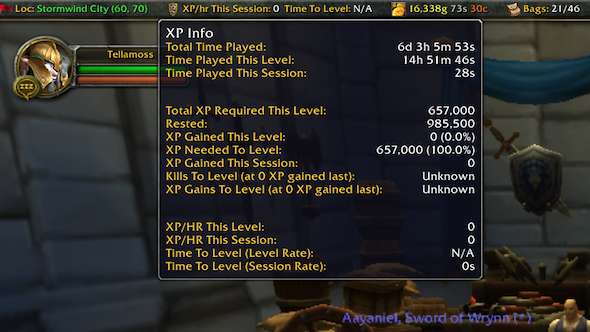 It provides similar information on how much gold you’ve earned. It also includes information on the performance of the game such as FPS, bandwidth going in and out, and how much memory is being used by the game and add-ons. It also serves as a framework for far more extensive plugin support. We’ve already ascertained that fishing is a lot of fun. Fishing Buddy makes the profession even more enjoyable. For those relaxing moments where you kick back, Fishing Buddy keeps an eye on what fish you’ve caught in any given location before, and the fish you’ve caught during your current session. It displays your current skill level, makes it easy to change into your fishing outfit, and automatically adds a lure to your fishing pole, saving you some effort. 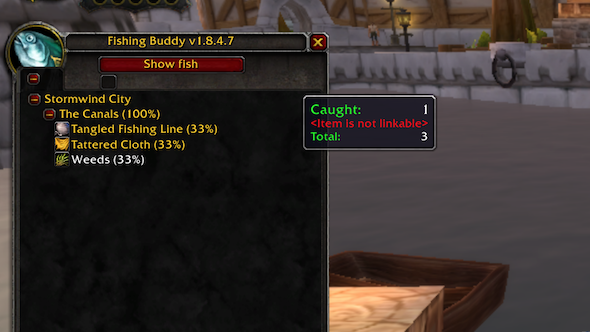 Best of all, it tracks rare fish that only appear at certain times, so you know exactly when to go looking for them.